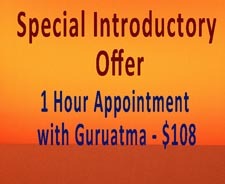 Check back often as we are continually adding to the library of videos of Guruatma for you to watch! Please note: Depending on your Internet connection, it could take a few minutes for these videos to load. GreenWatch Production on Channel 8 with Brian Harrison. Public Access TV in Houston,TX. Participant in a 3-member panel discussion on Hearing Loss. Greenwatch’s very first closed caption show! March 12, 2008.